Twelve people have won all four major annual American entertainment awards: the Emmy, Grammy, Oscar, and Tony. Doing so may be abbreviated EGOT, or sometimes GATE ("A" for "Academy"). These awards honor outstanding achievements in, respectively, television, music (or other audio recording), film, and theater. Winning all four awards has been referred to as winning the Grand Slam of Show Business. The acronym EGOT was coined by actor Philip Michael Thomas. (28 June 1902 – 30 December 1979) Richard Rodgers was the first person to win what are considered the top show business awards in television, recording, movies and Broadway—an Emmy, a Grammy, an Oscar, and a Tony—now known collectively as an EGOT. He has also won a Pulitzer Prize, making him one of two people (Marvin Hamlisch is the other) to receive each award. (10 October 1900 – 17 March 1993) Helen Hayes was an American actress whose career spanned almost 80 years. She eventually garnered the nickname "First Lady of the American Theatre" and was one of twelve people who have won an Emmy, a Grammy, an Oscar and a Tony Award (an EGOT). Hayes also received the Presidential Medal of Freedom, America's highest civilian honor, from President Ronald Reagan in 1986. In 1988, she was awarded the National Medal of Arts. The annual Helen Hayes Awards, which have recognized excellence in professional theatre in the greater Washington, D.C. area since 1984, are her namesake. In 1955 the former Fulton Theatre on 46th Street in New York City's Broadway Theater District was renamed the Helen Hayes Theatre. When that venue was torn down in 1982, the nearby Little Theatre was renamed in her honor. (born 11 December 1931) Rita Moreno is a Puerto Rican actress and singer. She is the only Hispanic and one of the few performers to have won all four major annual American entertainment awards, which include an Oscar, an Emmy, a Grammy and a Tony, and was the second Puerto Rican to win an Academy Award. (14 April 1904 – 21 May 2000) John Gielgud was an English actor and theatre director whose career spanned eight decades. The Independent described him as one of a great trinity of actors, together with Ralph Richardson and Laurence Olivier, that dominated the British stage for much of the 20th century. He was a member of the Terry family theatrical dynasty and gained his first paid acting work as a junior member of his cousin Phyllis Neilson-Terry's company in 1922. After study at the Royal Academy of Dramatic Art he worked in repertory theatre and in the West End before establishing himself at the Old Vic as an exponent of Shakespeare in 1929–31. Although largely indifferent to awards, Gielgud had the rare distinction of winning an Oscar, Emmy, Grammy, and a Tony. He was famous from the start of his career for his voice and his mastery of Shakespearean verse. He broadcast more than a hundred radio and television dramas, between 1929 and 1994, and made commercial recordings of many plays, including ten of Shakespeare's. Among his honours, he was knighted in 1953 and the Gielgud Theatre was named for him. From 1977 to 1989, he was president of the Royal Academy of Dramatic Art. (4 May 1929 – 20 January 1993) Audrey Hepburn was born Audrey Kathleen Ruston. She was a British actress and humanitarian. Recognised as a film and fashion icon, Hepburn was active during Hollywood's Golden Age. She was ranked by the American Film Institute as the third greatest female screen legend in the history of American cinema and has been placed in the International Best Dressed List Hall of Fame. She is also regarded by some to be the most naturally beautiful woman of all time. After appearing in several British films and starring in the 1951 Broadway play Gigi, Hepburn played the lead role in Roman Holiday (1953), for which she was the first actress to win an Academy Award, a Golden Globe and a BAFTA Award for a single performance. The same year, she won a Tony Award for Best Lead Actress in a Play for Ondine. She went on to star in a number of successful films, such as Sabrina (1954), The Nun's Story (1959), Breakfast at Tiffany's (1961), Charade (1963), My Fair Lady (1964) and Wait Until Dark (1967), for which she received Academy Award, Golden Globe and BAFTA nominations. Hepburn remains one of few people who have won Academy, Emmy, Grammy, and Tony Awards. She won a record three BAFTA Awards for Best British Actress in a Leading Role. She appeared in fewer films as her life went on, devoting much of her later life to UNICEF. Although contributing to the organisation since 1954, she worked in some of the most profoundly disadvantaged communities of Africa, South America and Asia between 1988 and 1992. She was awarded the Presidential Medal of Freedom in recognition of her work as a UNICEF Goodwill Ambassador in December 1992. A month later, Hepburn died of appendiceal cancer at her home in Switzerland at the age of 63. She was not related to actress Katharine Hepburn. (2 June 1944 – 6 August 2012) Marvin Hamlisch was an American composer and conductor. He is one of only twelve people to win an Emmy, Grammy, Oscar, and Tony (also known as an EGOT). He is one of ten people to win three or more Oscars in one night and the only one other than a director or screenwriter to do so. He is one of only two people to have won those four prizes and a Pulitzer Prize (Richard Rodgers is the other). Hamlisch also won two Golden Globes. (born 19 April 1938) Jonathan Tunick is an American orchestrator, musical director, and composer, one of twelve people to have won all four major American show business awards: the Tony Awards, Academy Awards, Emmy Awards and Grammy Awards. He is best known for his work with Stephen Sondheim, starting in 1970 with Company and continuing to the present day. 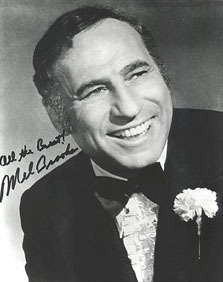 (born 28 June 1926) Mel Brooks is an American film director, screenwriter, composer, lyricist, comedian, actor and producer. He is best known as a creator of broad film farces and comic parodies. He began his career as a stand-up comic and as a writer for the early TV variety show Your Show of Shows. He became well known as part of the comedy duo with Carl Reiner, The 2000 Year Old Man. In middle age he became one of the most successful film directors of the 1970s, with many of his films being among the top ten money makers of the year that they were released. His most well known films include The Producers, The Twelve Chairs, Blazing Saddles, Young Frankenstein, Silent Movie, High Anxiety, History of the World, Part I, Spaceballs and Robin Hood: Men in Tights. More recently he has had a smash hit on Broadway with the musical adaptation of his first film, The Producers. He was married to the actress Anne Bancroft from 1964 until her death in 2005. Brooks is on the short list of entertainers who have won an Emmy, a Grammy, an Oscar and a Tony award. He received the 41st AFI Life Achievement Award in June 2013. Three of his films ranked in the American Film Institute's list of the top 100 comedy films of all-time, all of which ranked in the top 20 of the list: Blazing Saddles at number 6, The Producers at number 11, and Young Frankenstein at number 13. 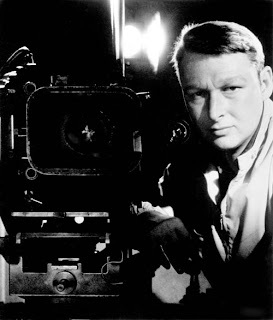 (born 6 November 1931) Mike Nichols was born Mikhail Igor Peschkowsky. He is a German-born American television, stage and film director, writer, producer and comedian. He began his career in the 1950s with the improv troupe, the Compass Players, predecessor of the Second City in Chicago and as one half of the comedy duo Nichols and May, along with Elaine May. May was also in the Compass. In 1968 he won the Academy Award for Best Director for the film The Graduate. His other noteworthy films include Who's Afraid of Virginia Woolf?, Carnal Knowledge, Silkwood, Working Girl, Closer and the TV mini-series Angels in America. He also staged the original theatrical productions of Barefoot in the Park, Luv, The Odd Couple and Spamalot. Nichols is one of a small group of people who have won an Emmy, Grammy, Oscar, and Tony Award. His other honors include the Lincoln Center Gala Tribute in 1999, the National Medal of Arts in 2001, the Kennedy Center Honors in 2003 and the AFI Life Achievement Award in 2010. 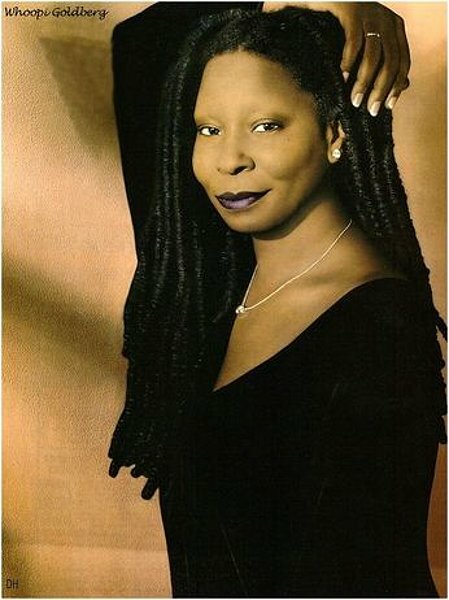 (born 13 November 1955) Whoopi Goldberg was born Caryn Elaine Johnson. She is an American comedian, actress, singer-songwriter, political activist, author and talk show host. Although Goldberg made her film debut in the avant-garde ensemble film Citizen: I'm Not Losing My Mind, I'm Giving It Away (1982), her breakthrough role was playing Celie, a mistreated black woman in the Deep South in the period drama film The Color Purple (1985). She played Oda Mae Brown – a wacky psychic helping a slain man (Patrick Swayze) save his lover (Demi Moore) – in the romantic fantasy film Ghost (1990), for which she won the Academy Award for Best Supporting Actress. Goldberg was the second black woman in the history of the Academy Awards to win an acting Oscar (the first being Hattie McDaniel, who won for Gone with the Wind in 1939). She was co-producer of the television game show Hollywood Squares from 1998 to 2004. She has been the moderator of the daytime television talk show The View since 2007. Goldberg has been nominated for 13 Emmy Awards for her work in television. She is one of the few entertainers who have won an Emmy, Grammy, Oscar, and Tony Award. In the 1990s, Goldberg was rumored to be the highest paid actress for her appearances in film. (born 14 July 1958) Scott Rudin is an American film producer and a theatrical producer. In 2012, Rudin became one of the few people who have won an Emmy, Grammy, Oscar and Tony Award, and the first producer to do so. (born February 23, 1975) Robert Lopez is a Filipino-American songwriter of musicals, best known for co-creating The Book of Mormon, Avenue Q, and for penning the songs featured in the Disney film Frozen. He is one of only twelve people who have won an Emmy, Grammy, Oscar, and Tony Award, and the only person to win all four within a decade, hence, he is considered the youngest member of the EGOT club. John Gielgud was born in 1904 in South Kensington, London.